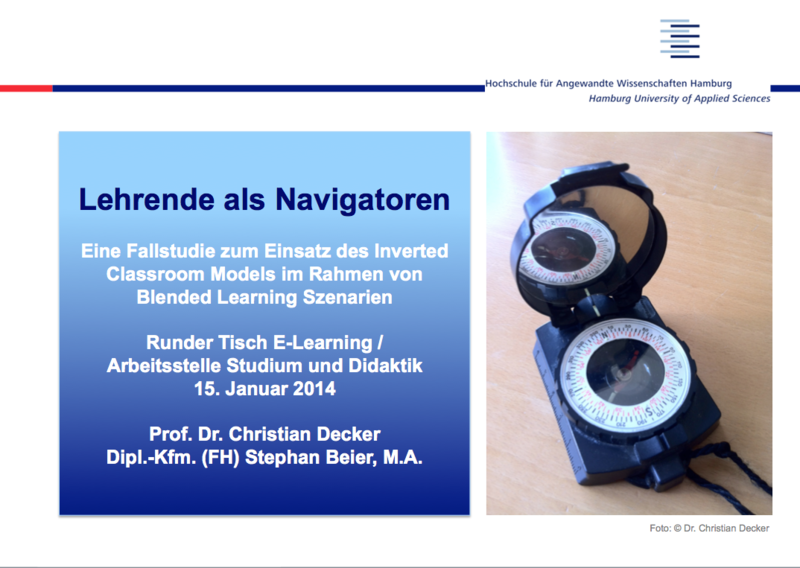 Stephan Beier and I presented a shortened version of our slides from the “Tag der Lehre 2013” at the “E-Learning Roundtable” of HAW Hamburg. Consistently, colleagues are fascinated by the inverted classroom model. Again, we received a very positive feedback and encouraging comments from the audience, which keeps us motivated and rewards us for the efforts of the last years. @ Christoph Wegmann: Thank you very much for the invitation!